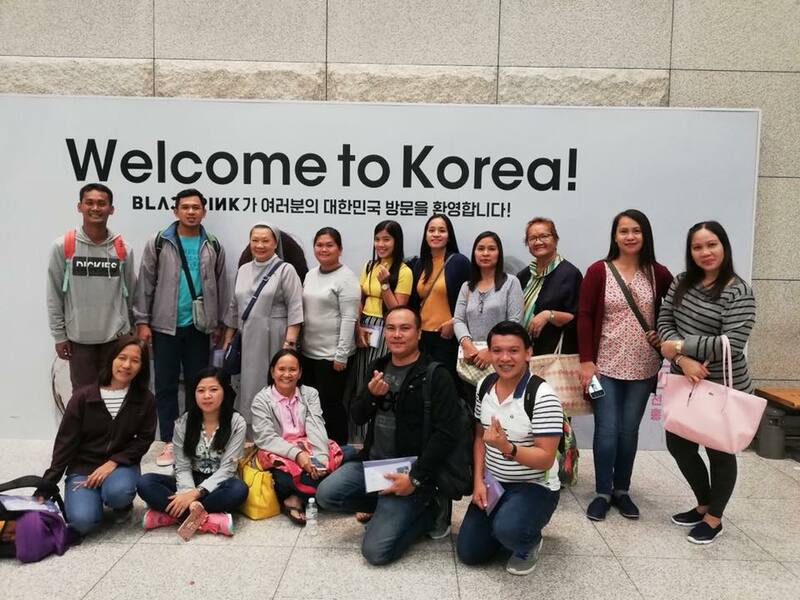 Fifteen (15) administrators and faculty members of the SPUP - Basic Education Unit had a one-of-a-kind journey last August 20-24, 2018 to an emerging economic hub in Asia - South Korea. The five-day tour was brimming with unforgettable activities and exciting visits to breathtaking views and attractions. The group was pulsating with awe as they experienced the dynamism and incredibility of the country- from its vibrant culture to its booming economy and to its cutting-edge technology. Indeed, the travel gave each and every one endless and unique experiences. From the Recenz Hotel, the group was transported to the ferry wharf where tickets to the half-moon shaped island- Nami island are bought. Nami island nestles gracefully like a leaf inside an artificial lake. This is the resting place of a renowned historical figure, General Nami. Many are most familiar with it as the filming grounds of the well-known K-drama “Winter Sonata”. The most enthralling scenes in the island are the lanes of metasequoia and ginko trees, other rows of majestic green trees, roaming animals and various art exhibits. The picturesque Garden of Morning Calm left everyone in amazement. Being regarded as the oldest private garden in Korea, this artistic space is magical as different tiny themed gardens are created. Experiencing both the past and present of Seoul by simply strolling around the grand palaces was wonderful. The Gyeongbokgung and Deoksugung palaces are a masterpiece-exemplary works from the old Joseon period. The Gyeongbokgung palace is regarded as the largest and the most beautiful palace in Korea. Known to be the main royal palace, the Guard Changing Ceremony or the Gwanghwamun Gate Guard-on-Duty Performance, which takes place here, is a must-see. Within the grounds of this palace is the National Folk Museum of Korea. It showcases replicas of historical objects to explain the very rich history of traditional life of the Korean people. The Deoksugung palace, on the other hand, is famous for its scenic stone-walled walkway. The stroll delightfully made everyone admire the way this country promotes its traditional culture. Going up the N-Seoul Tower, the city’s iconic skyscraper, is breathtaking. This tower is located on Namsan Mountain at the very heart of Seoul. Getting here is the best way of taking a bird’s eye view of the city. One cheesy thing which can also be found here is the infamous lovelocks. Piles of locks of varying sizes, colors and shapes with love notes welcome you on the way to the tower. Setting foot into the bustling shopping district of Myeongdong is satisfying. Lined in Myeongdong’s streets and alleys is a wide range of branded shops and department stores which offer insane sales for high-quality products. The place’s obsession to beauty is well-manifested in the good number of cosmetic stores which usually hand out free samples and masks. Everland, Korea’s largest outdoor theme park, is one best way of bringing out the child in you. This gigantic park houses unique rides and attractions and is proudly home to the world’s steepest wooden roller coaster and South Korea’s only safari. Visiting the Bukchon Hanok Village is just like travelling all the way back to the Joseon dynasty. This village harbors traditional houses called hanok, which at the present time function as residential place, restaurants and shops. 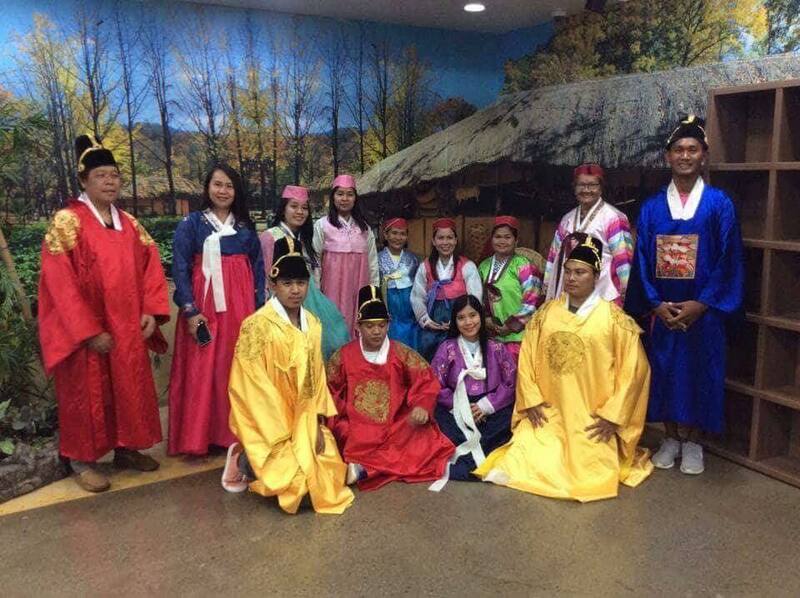 Experiencing Kimchi-making and Hanbok-wearing at Kimchi School was gratifying. It was an opportune time as everyone has already learned to love and embrace the Korean way of life. The quick lessons satiated our desire to have more of Korea. Something interesting always sprouts on every corner of Korea even in a random neighborhood. The group was bedazzled with the sparkles of amethyst in an amethyst shop, with the rejuvenating medicinal prowess of red pine in a red pine factory and with the grandiose artistry of Dongdaemun Design Plaza. The journey culminated with a visit in Gahoedong Catholic Church of the Seoul Archdiocese-the most beautiful spot ever as everyone got the chance to praise, glorify, and thank the Lord, the Source of all Goodness, for the wondrous opportunity to travel and for the generosity of people who have made such great experience possible.